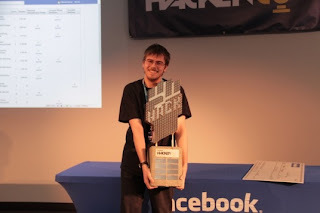 The second edition of the Hacker Cup , the competition organized by Facebook and reserved for programmers around the world, has come to an end: there are 25 participants, those who obtained the highest score in the previous rounds, finished on the podium by Russia United States and China. To take home the title of “World Champion” and a check for $5,000 was the Russian Roman Andreev, who has completed one of the three proposed problems in one hour and 4 minutes and beat the U.S. for just Tomek Czajka one minute (one hour and 5 minutes). He took home $2,000, while in third place – the Chinese Tiancheng Lou, who also finished third last year was – it went very much. The final round was held in the new headquarters in Menlo Park , California. The three problems proposed to the participants have not yet been published, but if you want to test your skills you can try to solve those of last year : if you can that will complete at least a little more than an hour, you’re ready to apply for Facebook ‘s next edition , whose entries should leave in January 2013.